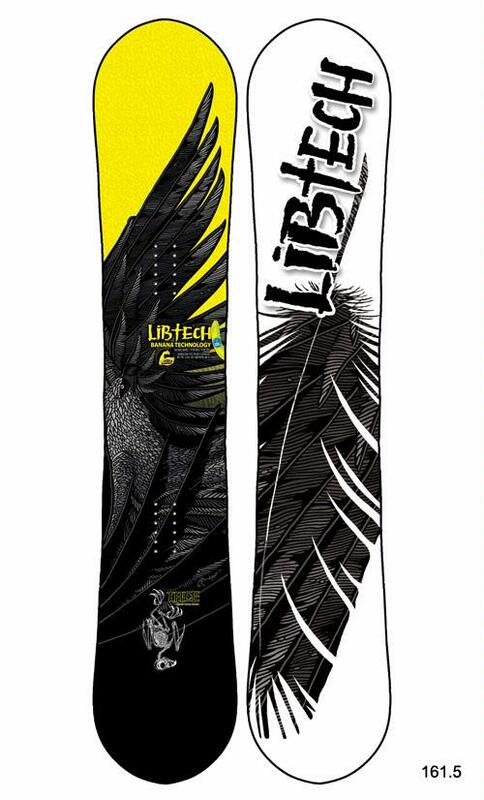 The Lib Tech Travis Rice Pointy Snowboard is designed for a mid sized footed rider that really likes an aggressive All Mountain Freestyle ride. There are really 4 different boards under the T Rice name here so make your choice wisely. 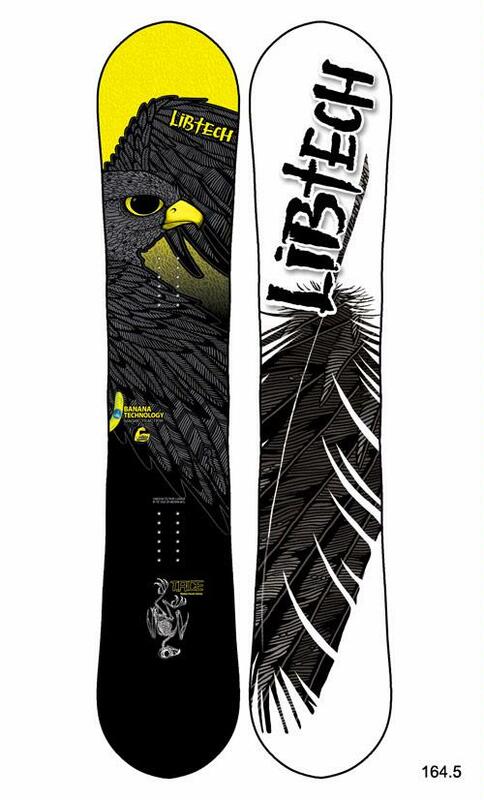 The Lib Tech Travis Rice Pro C2 Power BTX is a heavier version of the Travis Rice Pro Horsepower. Here is a great all conditions ride for those mid footed riders that like to attack the mountain, Jumps and Pipe regular or switch like Travis Does. Not much has changed for 2015. Conditions: Really good groomers that weren’t to hard but also weren’t to soft. Great for carving and speed. Another day there was a little thick sierra powder. In some places 1′ but most places were less than a foot. Hard to borderline icy day in the morning turning into a softer good snow about mid day. Just want to make this clear that all Travis Rice Pro Pointy or Pro Horsepower Pointy models are mid/wide size boards. It’s not ideal for normal to smaller size feet. It’s best for a size 10.5 US to a 12 US rider. A size 13 boot with a good reduced footprint (makes it a size 12-12.5 on the outside) can fit in this as well. I’m writing this more from Jimbo’s and a wide footers perspective because I’m a size 9 boot. I personally felt like I had stiff clown shoes on when riding this. It’s just a little too big for my taste. Some riders with feet my size like this wider more stable board feel but I’m more about quicker turn initiation. On Snow Feel: So the travis Rice Pro Pointy is not your normal snowboard. It’s an aggressive med/stiff flexing board thrown into a twin shape with a centered stance. It also has a pretty shallow side cut that makes the board want to go straight more than turn. It’s got a very stable feel for a hybrid rocker and it’s getting pretty close to some hybrid camber boards. In softer snow it’s very stable but you can still feel it become a little loose between the feet in harder snow. The C2 Power models are definitely the call over the C2 BTX and BTX models of the past. Turn Initiation and Carving: So the shallow side cut takes a little bit away from the quick turn initiation when you compare it to other boards. It’s got the kind of feel that likes wider turns. Short radius turns just cant be throttled up as fast as some boards allow you to do with deeper side cuts. The Travis Rice Pro Pointy likes to go straight more than it likes to make tight radius turns. When you get into a hard carve it does very well for a hybrid rocker board. There is a decent amount of return out of a carve but it’s still not in the same world as a board with true camber or mostly camber. 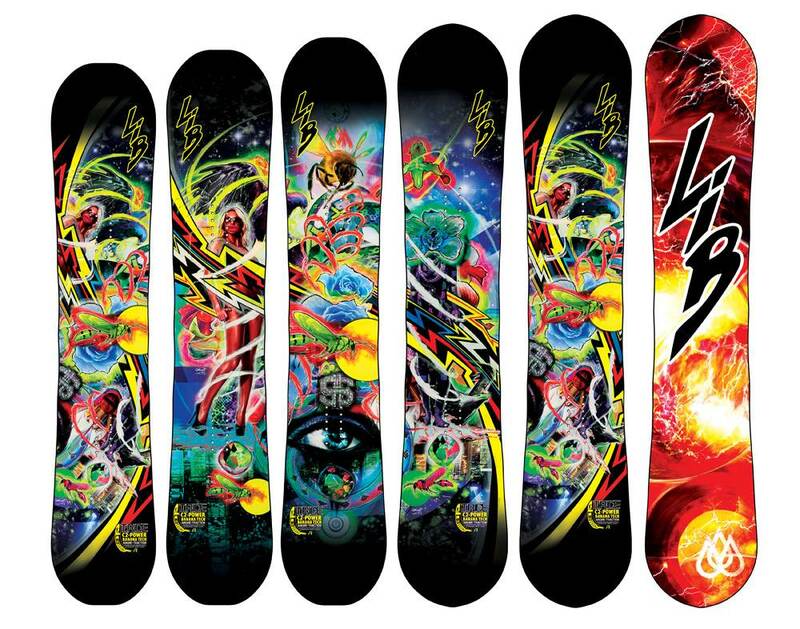 Speed: The Travis Rice Pro Pointy is very close to being an excellent board for speed. The base is pretty fast and glides well over long flat spots. The only thing keeping it from being excellent is the little bit of chatter you get from the hybrid rocker profile. It could be argued as excellent though. Uneven Terrain: Not ideal in heavy conditions. The board doesn’t turn super fast so it’s not as easy to negotiate a mandatory mogul run to a pow stash but it’s amazing at busting chunder or a tracked up section of thick powder. Edge Hold: This could be a great board for people who ride in harder conditions more than soft. 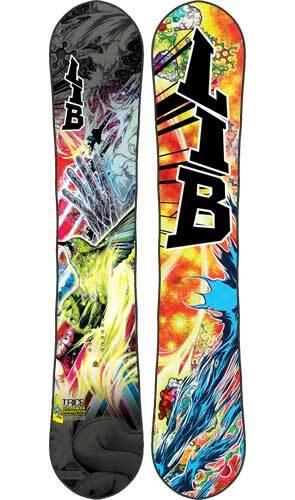 It’s got a very confidence inspiring grip in hard snow but can be a little grabby in thicker softer snow. Flex: Pretty stiff and aggressive. It’s not an ideal butter board. Switch: Feels the same either way and it’s pretty fun to lay into a carve regular and then do the same switch. Jibbing: Not really a Jib board. I didn’t even bother but Jimbo took it through a few bonks and rails. He didn’t mind but he wasn’t into lapping the park after he finished. Pipe: This wasn’t a great pipe board for me but if you are around a size 11 this would be an excellent pipe board. I felt like it was a lot of work around the coping to get back down and it didn’t inspire confidence. Jimbo (10.5 boot) had no problem with the pipe. For a bigger foot than mine it would climb the wall well, carve well in the flats and be pretty forgiving on the way back down for the hybrid rocker. Still this is just a little too long to really ride the pipe well. If you are more about the pipe than the mountain then get the blunt. Jumps: Great spring on this board but like the pipe the board is a little too long for lapping the roller coaster line in the park. It’s more about dropping off a cliff of ollieng off a nice natural feature at high speed. 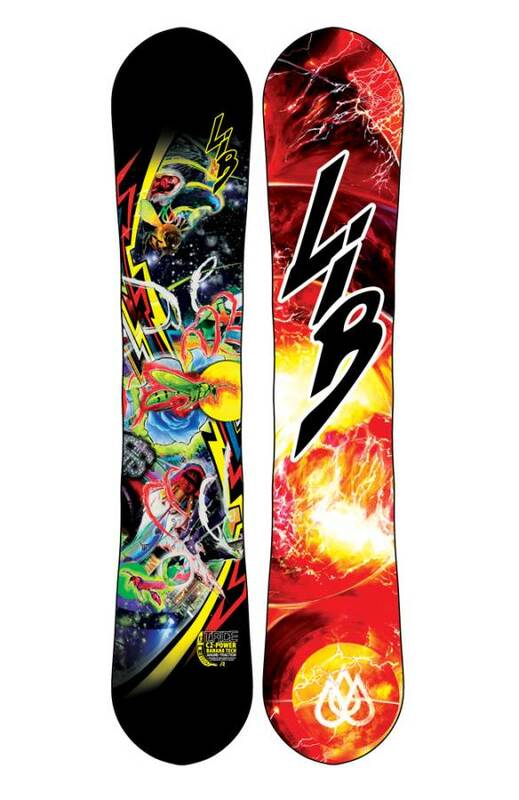 We try to get as many images of the Lib Tech Travis Rice Pro Pointy, but forgive us if they're not all there. Like an old episode of Batman - Boom, Pow, Kapow! I like this board a lot! It's capable of pretty spectacular speeds considering that it is a Rocker / Camber - C2. This board is just a bomber!!! I'm on the 161, and all I can say..if you're looking for a chunder buster (hence the title - Boom, Pow, Kapow), that has got great pop - is a pretty decent carver, with hero inspiring performance, this is a really good choice. It's a bit wider than a regular width board, and floats a bit better than some other C2s I've owned. Just make sure that you're not a smaller footed rider, otherwise, the board will feel a bit "boaty and hard turning" (as commented by my brother and his size 9 princess feet). I've owned both the HP and Non-HP versions (different years). To be completely honest, I prefer the non-HP version. For some reason, it just seems to be a bit more aggressive and loads better (for me). I have however, found the HP version to not ding/scratch as easily as the standard pro model. My first review here ... Wanna give something back to a great site which provides me with tons of info. Got the the T.Rice now for 2 years in 161.5 I´m 187cm and it works really great for me. Extremely good edgehold in hard conditions.If it gets icy it´s better than a board without magnetraction but also no fun in my opinion.My binding is a Union Atlas which is very good match because you´ll need a stiffer binding for this really agressive board. The only downside is for me the powder-a-bility. There are boards with better float but it´s good for a twin I would say. 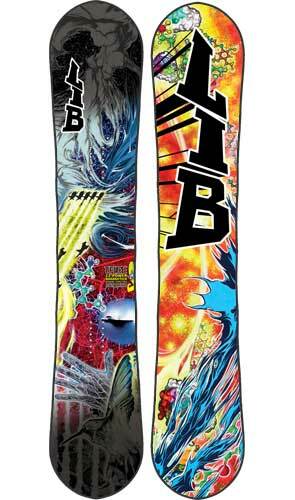 It´s a incredible board overall I can recommend it to a fast and aggressive freestylin´freerider- you´ll love it. Fun board and good all around. I haven't ridden gang loads of different boards, but I been on a decent amount. I demo'd many boards before I bought this one. I am very comfortable with the edge hold, more so than any of the camber boards I tried. Got out one of my camber boards on a nasty icy morning on the groomed run and as soon as I got to the bottom I put it right back and pulled out the T Rice again. Magnetraction makes a world of difference for me. I had several other boards, camber and rocker that I would use for different days and different things. After going back and forth riding them and the T Rice in the different terrains, I got rid of them and reduced the amount of boards in the quiver. I'm not saying it's the end-to-all-other boards, but it works darn well for me. I have ridden the T. Rice for the last 5 years. The board seems to get better and better with each new edition. From hard pack wind blown, to titts deep blower this board is for the "committed" who live to ride sacrificing a lot to make it happen. I own a 2013 157. I have ridden 4-5 days so far on groomers, powder, and tracked out runs. I was looking for a good all mountain stiff twin and this has been the answer. 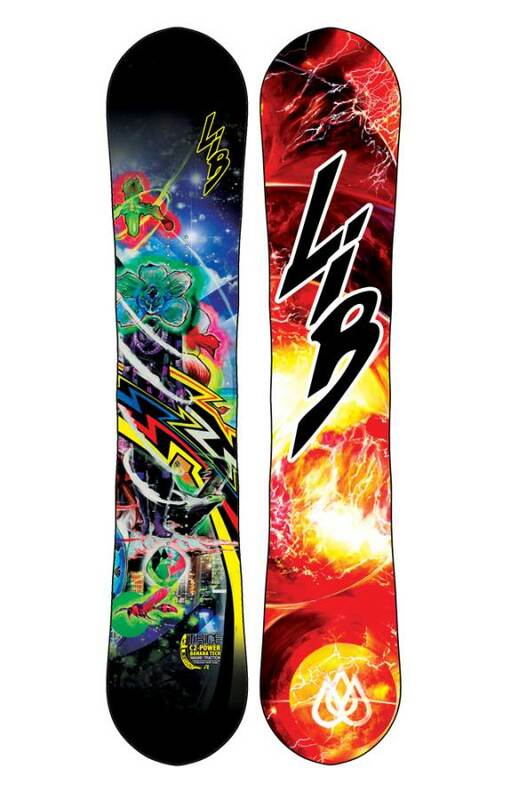 Although it is stiff it has a softer feel when cruising at higher speeds (35mph +). Handled all conditions well and, as expected with the rocker/camber combo, it was easy in the pow. Main watch out is that the edges are very catchy out of the box. Make sure to have a file or diamond stone on hand for some detuning. I was doing this between the first few runs on the 1st day. Edge hold and carving are great and it is relatively easy to get edge to edge even though is kind of a mid-wide board. 2 other concerns: 1. The base loses wax fairly quickly - really only 1 solid day of riding per waxing (my other boards hold wax much longer). 2. The nose and tail are not metal wrapped and are already showing signs of wear. I would recommend to a powerful rider who is looking for an aggressive twin and likes to ride fast.